Twenty-five musicians travelled to Haverhill from across Europe to take part in this year's Haverhill Sinfonia Soloist Competition. The 23rd annual competition, which this year attracted 164 entrants of 35 nationalities, took place on Saturday at Haverhill Arts Centre. 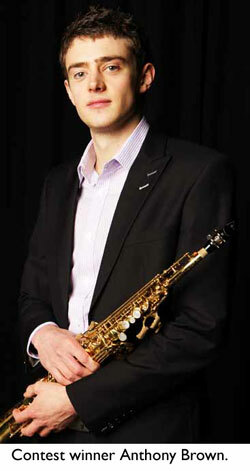 Winner of the first prize was Anthony Brown (saxophone), who won 17 performance prizes throughout the UK, together with £4,900. In total, 38 prizes to the value of £9,125, plus 26 solo engagements were won. The adjudicating panel was Kevin Hill (music director, Haverhill Sinfonia), Caroline Palmer (professor of piano and chamber music, Guildhall School of Music and Drama) and Gary Ryan (assistant head of sStrings and professor of guitar, Royal College of Music). 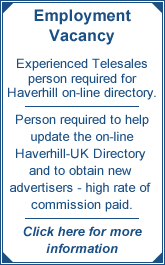 Further details of competitors are at Haverhill Sinfonia's website. Winner Anthony Brown, 23, was born in England and has recently completed the International Artist Diploma in chamber music from the Royal Northern College of Music on a full scholarship. But his versatility means that he is also a confident jazz player. He has enjoyed European competition success as part of the saxophone section in Beats and Pieces Big Band winning the Burghausen Jazz Prize 2011. This provided much needed funding for their first album Big Ideas, released at the start of 2012. The band also headlined the Brit Jazz Festival in 2011 at Ronnie Scott‘s.